These stanzas, taken from Allen Ginsberg’s 1955 hit, “Howl,” best describe the generation that Ginsberg wanted to represent through the poem. A group of people known as the ‘Beat Generation’―thick-framed glasses-wearing hipsters who went drinking in the bars of New York, San Francisco, and Denver until the early morning sun caught up to them reading and listening to poetry, swaying and dancing to the jazz of Herbie Nichols or the hard bop of Miles Davis; they raved and lived looking for their selves in an America that was well on its way from recovering from the wounds of war and depression. It is through the fragmented way that each scene is presented where we―as viewers of the film and listeners of the poem―get to fully comprehend the consistencies that encapsulate the behavior of Ginsberg, and how he was able to represent his generation in the poem. The film, “Howl,” which came out in 2010, directed by Rob Epstein and Jeffrey Friedman, is an experimental biopic that presents Allen Ginsberg (played by James Franco) in a bar in 1955, reciting “Howl” to a full house of faces intently listening to every word. 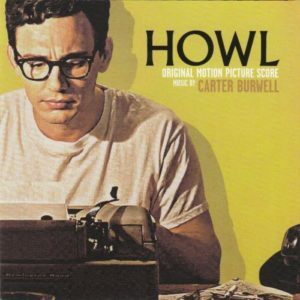 The film, as stated in the opening montage, is composed of court records, interviews, and “Howl,” as the book itself. As Ginsberg reads the poem, scenes of surrealist animation inspired by Ginsberg himself and Eric Drooker are shown; images that provoke a subconscious interpretation of the poem that are then interspersed with parcels of the 1957 obscenity case trial that the publisher faced, where a collective of experts are called to the witness stand and are asked about their take on “Howl.” Non-linear as it is, the film also presents snippets of Ginsberg in 1957, now sporting a beard, talking about his life, and about the poem, while being interviewed and recorded on tape. 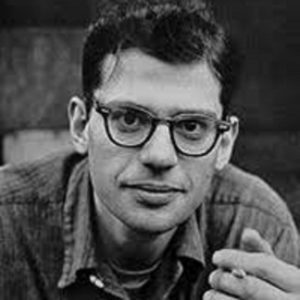 The film ends with an audio of the real Ginsberg singing “Father Death Blues” while tidbits about how his life, career, and contemporaries turned out are flashed. As a whole, the film is structured on four basic scenes that alternate: Ginsberg being interviewed, the obscenity case trial, the animation as the poem is recited, and the flashbacks. With each memory that Ginsberg recalls in the interview, the flashbacks are then shown and interwoven into the narrative as a presentation of back stories. After every ending of a significant event in his life, Ginbserg would resume reading the poem, and the animation begins with SFX layered on the previous shots of black and white as a form of transition. The court scenes are injected every now and then after substantial scenes of the interview or animation are shown to somehow bring the film’s narrative towards a literal level of understanding. Note the different ways that each scene is colored: The opening scene of Ginsberg reading is shown in black and white, and transitions into an introduction of the cast, the title, and subtitles of information about the film. Ginsberg reappears in a technicolor scene that is graded in aquamarine, with a full beard on his face, smoking in his taupe polo shirt while being interviewed in his room. He flashbacks to two years earlier when he was writing “Howl,” and again, the shot becomes black and white. As he types down the first words of the poem, the surreal, 3D animation begins and follows through, and the poem is narrated through a voiceover. The poem-reading and animation are then paused, and returns to 1957: a scene from the court trial is shown regarding the literary merit of “Howl,” because it has been stirring controversy for the obscenityevident in the work’s diction. These parts of the film are cut and continued, wherein each part can be distinguished by their color and setting: black and white for earlier scenes from Ginsberg’s life; bright, glowing, and psychedelic colors move among gradient shadows for the animated scenes during the poem’s VO; an aquamarine light in a living room with a patterned wallpaper, blanket, and sofa, with different shades of brown, wooden furniture, frames, and books during his 1957 interview; grainy black and white during his reading of “Howl” in the bar; and a daylight brightness for the court scene. It is in these fragmented scenes where the life, love, and problems of Ginsberg are presented. that Literatureshould sound like something that comes from one’s own life. One should break down the distinction that one has when choosing what to tell your friends and what to tell your muse; to write the same way one truly is, how one truly speaks. That’s why “Howl,” for one, was written without much control; that at the moment of writing, the words were meaningless to him. In the obscenity trial, “What are angelheaded hipsters?” Ralph McIntosh (played by David Strathairn), the city prosecutor, asks. An old clip of youngsters dancing to hard bop is shown right after. This is what the scene was like―staggered kids slumped by the walls, sweating, while the exuberant lot still danced within the crowds. Jake Ehrlich (played by Jon Hamm) served as Lawrence Ferlinghetti’s (played by Andrew Rogers) defense. Ferlinghetti is Ginsberg’s publisher. Strathairn, Hamm, and Rogers effectively re-enact the trial with Hamm playing a well-composed defense lawyer, and Strathairn, a bewildered lawyer, grilling the contents of a book that he cannot understand. 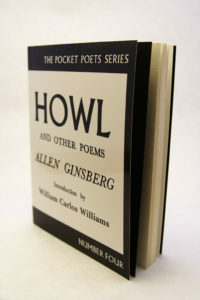 The book, “Howl and Other Poems,” undergoes series of criticisms in court, questioning its literary merit; whether or not the “foul” and “obscene” language used is required of it as art, or it is just an exhibition of plain crassness with no redeeming social value. For some of the bashing critics, the piece is lacking in literary style: form, diction, fluidity, and clarity, but more importantly, it is said to lack in content for its loss of “moral greatness.” Its form is also called a weak copy of Walt Whitman’s “Leaves of Grass,” which makes it an imitation that doesn’t give it great literary value. And for those who applaud it, they are quick to say that the text has literary merit. In its employment of jazz phraseology and wordings from life’s experience, a critic points out the text’s expression of pain and protest. Literary value can also be equated to its timelessness―and the trial caused “Howl” to be a historical work that paved the way for the post-war generation’s literature and identity. Chronicling how his life went, Ginsberg tells us of how he lived in an apartment that he shared with junkies and thieves. In an attempt to get away from all of these, he piled all of his manuscripts with him in a stolen car, and crashed. With his papers scattered on the streets, he was sent to court, and this caused his eventual sentence to the looney bin―to evade jail time. It is in this psychiatric ward where he met Carl Solomon, to whom “Howl” was dedicated to. Ginsberg’s mother was, too, admitted to a mental institution ever since he was six. He admits that after he got out of the hospital, he had this feeling of wanting to get out of New York―he hitchhiked out to Denver with Neal Cassady (played by Jon Prescott), and his heart was broken. “The poetry, generally, is a rhythmic articulation of feeling. And the feeling is an impulse that begins inside,” Ginsberg says, telling us that putting words to poetry is simply describing what one is feeling by looking at the images around us. Of course, Cassady was one of his muses. But it was in San Francisco where Ginsberg met Peter Orlovsky (played by Aaron Tveit), his life partner. “Finally somebody loved me like I loved them, and the first time I felt accepted in my life, completely,” he says. This event in his life led to psychotherapy sessions that made him feel that he was crazy for not being heterosexual. Franco delivers in the acting department, most especially in reciting the poem―he follows an erratic rhythm that echoes the words that are meant to be said with required gusto. The emotions that he exhibited as he recited “Howl” in front of a crowd that sincerely looked on and listened were there. As Ginsberg, he shows us glimpses of the writer’s childhood, writing modes and processes, struggles, hopes, and disappointments. His reactions are obvious in his facial expressions but felt subtly through his gestures. The way he smokes his cigarette: drawing deeply, pausing in mid-speech to reminisce as the blue-green lighting is reflected in his glasses, and then the flashbacks. We see a younger Ginsberg shuffling about in front his typewriter, still smoking, drawing deep, but quicker, trying to channel some inspiration for writing. We hear the bearded Ginsberg’s voice whirring in between words as he talks, as opposed to his earlier self in the black and white’s, speaking to Kerouac or Cassady, nasally with excitement. As for the well-rendered surrealist animation, there wasn’t sufficient gravitas for it to bear and present the weight of emotion and feeling that was inherent in “Howl,” and at times, the images presented were literal and came off as if it poked humor at Ginsberg’s choice of words. It was efficient enough to translate some sort of deeper psychological contemplation that might’ve been present in Ginsberg and/or Drooker as they mulled over the specific art and animation appropriate to the work. 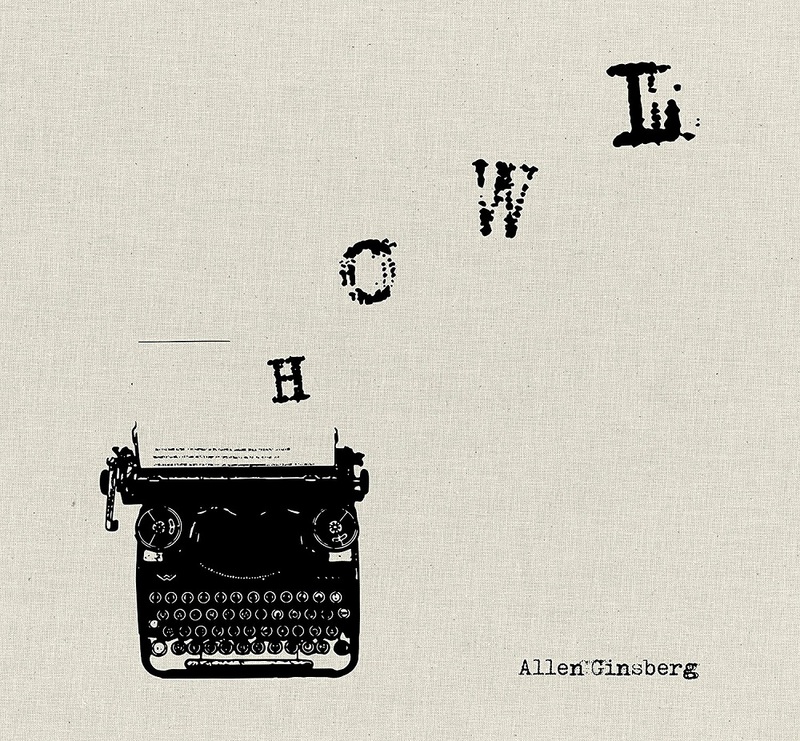 With this experimental biopic of “Howl,” Epstein and Friedman showed us the voice of Allen Ginsberg; of how he saw his own work, his life, and his peers. 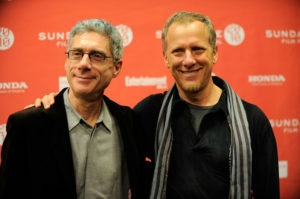 Although artsy and intellectual in terms of the animation, the court scene and interviews formed a narrative that supplied the needed foundation for the viewers to hold onto something after finishing the film―a sense of history and an understanding of how a literary work can make an impact great enough to represent a generation; this being, a generation of howling kids.